In a country, where practically everything in nature is venerated, the Ganga is most holy, considering the magnitude of her life sustaining forces it is no wonder. 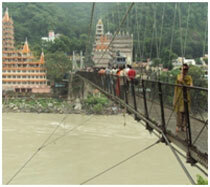 Ganga is an eternal river has been flowing in India as a lifeline. Ganga is not just the name of a river; she has acquired the status of a Goddess and synonyms of all the rivers in which pure water is flowing. She has been considered as a cradle of great Indian Civilization, which has always paid emphasis on non-violence & co-existence. 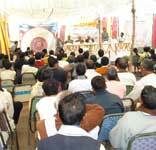 Infect the pure water of Ganga was responsible for the emergence and acceptance of such a pious thought's and vision which is now been recognized world over as an eco-culture and eco-ethics. 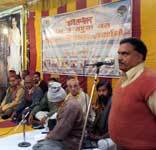 "Ganga Jal" has become the synonyms of pure & pavitra. She is a faith, more than a river with which people of India are attached to; spiritually and emotionally for their psycho-religious and socio-cultural activities from times immemorial. 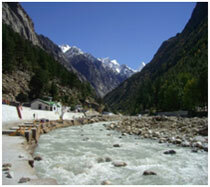 The mighty River emerges from the southern slopes of a Himalayan glacier named Gangotri glacier. 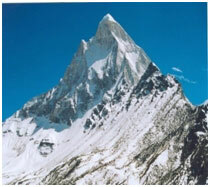 Gangotri glacier is one of the largest glaciers in the Himalayas. The glacier is located in the Uttarkashi District of Uttaranchal State failing in the Garhwal Himalayan Region. This glacier is bound between 30°43'22"–30°55'49"(lat. )and 79°4'41"–79°16'34"(long. ), extending in height from 4120 to 7000 m.a.s.l. 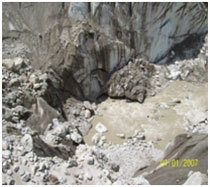 The glacier originates at the northern slope of Chaukhamba range of peaks. Bhagirathi, one of the tributaries of Ganga, originates from snout of Gangotri glacier, whereas Alaknanda, the other and main tributary emerges from the Bhagirathi Khark andSatopdnth glaciers, east of Chaukhamba peaks. Alaknanda meets Dhauliganga at Vishnuprayag, Nandakini at Nandprayag, Pindar at Karnaprayag, Mandakini at Rudraprayag and finally Bhagirathi at Devaprayag from here onwards, it is known as Ganga) in the Indian state of Uttarakhand. The rivers come under Ganga system. After flowing 250 kilometres (160 mi) through its narrow Himalayan valley, the Ganges emerges from the mountains at Rishikesh, then debouches onto the Gangetic Plain at the pilgrimage town of Haridwar. At Haridwar, a dam diverts some of its waters into the Ganges Canal, which irrigates the Doab region of Uttar Pradesh, whereas the river, whose course has been roughly southwest until this point, now begins to flow southeast through the plains of northern India. 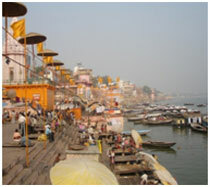 The Ganges follows an 800-kilometre (500 mi) arching course passing through the cities of Kannauj, Farukhabad, and Kanpur. Along the way it is joined by the Ramganga, which contributes an average annual flow of about 500 m3/s (18,000 cu ft/s). 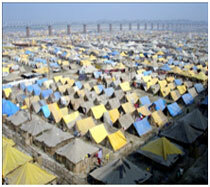 The Ganges joins the Yamuna at the Triveni Sangam at Allahabad, a holy confluence in Hinduism. At their confluence the Yamuna is larger than the Ganges, contributing about 2,950 m3/s (104,000 cu ft/s), or about 58.5% of the combined flow. Now flowing east, the river meets the Tamsa River (also called Tons), which flows north from the Kaimur Range and contributes an average flow of about 190 m3/s (6,700 cu ft/s). After the Tamsa the Gomti River joins, flowing south from the Himalayas. The Gomti contributes an average annual flow of about 234 m3/s (8,300 cu ft/s). Then the Ghaghara River, also flowing south from the Himalayas, joins. 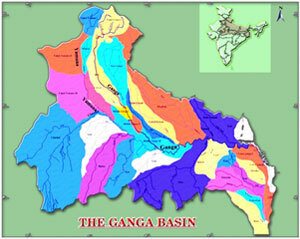 The Ghaghara, with its average annual flow of about 2,990 m3/s (106,000 cu ft/s), is the largest tributary of the Ganges. After the Ghaghara confluence the Ganges is joined from the south by the Son River, contributing about 1,000 m3/s (35,000 cu ft/s). The Gandaki River, then the Kosi River, join from the north, contributing about 1,654 m3/s (58,400 cu ft/s) and 2,166 m3/s (76,500 cu ft/s), respectively. 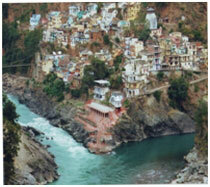 The Kosi is the thirdlargest tributary of the Ganges, after the Ghaghara and Yamuna. Along the way between Allahabad and Malda, West Bengal, the Ganges passes the towns of Chunar, Mirzapur, Varanasi, Ghazipur, Patna, Bhagalpur, Ballia, Buxar, Simaria, Sultanganj, and Saidpur. At Bhagalpur, the river begins to flow south-southeast and at Pakur, it begins its attrition with the branching away of its first distributary, the Bhāgirathi-Hooghly, which goes on to become the Hooghly River. Just before the border with Bangladesh the Farakka Barrage controls the flow of the Ganges, diverting some of the water into a feeder canal linked to the Hooghly for the purpose of keeping it relatively silt-free. The Hooghly River is formed by the confluence of the Bhagirathi River and Jalangi River at Nabadwip, and Hooghly has a number of tributaries of its own. 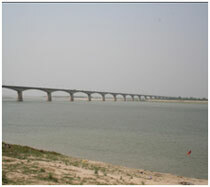 The largest is the Damodar River, which is 541 km (336 mi) long, with a drainage basin of 25,820 km2 (9,970 sq mi). The Hooghly River empties into the Bay of Bengal near Sagar Island. Between Malda and the Bay of Bengal, the Hooghly river passes the towns and cities of Murshidabad, Nabadwip, Kolkata and Howrah. Place wher Ganga meet with Ocean is called GangaSagar After entering Bangladesh, the main branch of the Ganges is known as the Padma. 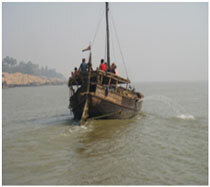 The Padma is joined by the Jamuna River, the largest distributary of the Brahmaputra. Further downstream, the Padma joins the Meghna River, the second largest distributary of the Brahmaputra, and takes on the Meghna's name as it enters the Meghna Estuary, which empties into the Bay of Bengal. The Ganga River flows in a basin inhabited by 560 million people, making it the most populous river basin in the world. This basin measures about one million square kilometres and has a mean annual flow of over 400,000 million cubic kilometres. It includes part of the territories of India, Nepal, Bangladesh, and China (Tibet). In India, 8,61404 km2 (26.2% of the Country’s land mass) covering 11 states Uttrakhand, Uttar Pradesh, Bihar, Jharkhand, West Bengal, Madhya Pradesh, Chatisagarh, Rajsthan, Himanchal Pradesh, Haryana & Delhi. Myths suggest that the sacred river is an integral feature of the spiritual-mental-physical ecosystem of the universe, and its descent through the three worlds of heaven, earth, and the underworld is perhaps given fullest expression in the mythology of the Ganga. Moved by the penance of the royal sage Bhagiratha, a descendant of King Sagara Ganga agreed to descend to earth to purify the ashes of Sagara's 60,000 sons. Ganga then swept down in three great torrents which would have flooded the earth had not Siva caught the waters upon his brow and broken their fall. Being again propitiated by Blagiratha, Ganga followed him to the sea and thence to the nether regions to fulfill her mission, purifying Sagara's sons and thus enabling them to attain paradise. In the cannons of Indian art, Ganga is visualized, as all other major Indian goddesses are, voluptuous and beautiful. A woman is like this vessel, carrying in her the vital and throbbing life essence. The overflowing pot is the grace of nature in abundance and this is a symbol of the sustaining womb, holding within itself the force of life. In Indian aesthetics, wherever the pot appears, it conveys the idea of abundant life and fertility, which nourishes and sustains the universe. Ma Ganga sitting on Crocodile (Makar).The crocodile is a unique animal in that it can live on both land and sea. It thus denotes the wisdom of both the earth and waters. The holy water of the river plays a vital role in Hindu ceremonies, in rituals of birth and initiation of marriage and death. 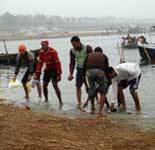 Hindus also believe life is incomplete without bathing in the Ganga at least once in their lifetime. In most Hindu families, a vial of water from the Ganga is kept in every house. 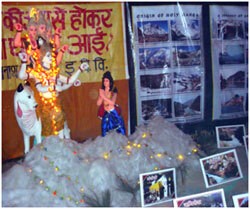 This is done because it is auspicious to have water of the Holy Ganga in the house. The gravest of sins like Brahmhatya (killing of a Brahmain) and Gauhatya (killing of a cow) gets absolved by the mere touch of Ganga holy water. The rivers of earth are therefore seen as being necessary to creation and as having a heavenly origin. On its bank, from the very beginning of time many of Rishis, Munis and Tapasvis have been performing their spiritual endeavours. Ganga has nourished our glorious culture in the past time, saved us from deadly disease through her mysterious phermacutical properties. (When the body is afflicted by senility and diseases the Holi water of mother Ganga is the medicinc, and lord Narayan (Hari) from whose feet Ganga enanated, is the great Physician. 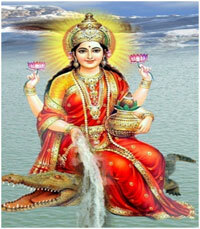 Chakrapanidutta in 1060 A.D. regarded Ganga water as sole de¬stroyer of all diseases. 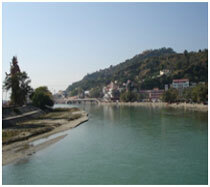 To this date the water of holy Ganga is believed to have Amrit (nectar) in it. It has been studied by Scientists that the water collected from Ganga at its origin is in a pure state and even after being kept for several years, does not get contaminated. 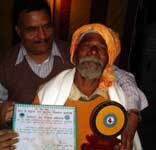 Sri Ganga Nath Sen even describes the curative powers of Ganga soil for treatment of Skin diseases and blood impurities. Mark Twain noted that the Ganga had the capacity of self purification. Felix d’Herelle “only a few feet below the bodies of persons floating in the Ganga who had died of dysentery and cholera, where one would expect millions of germs, there were no germs at all”! The presence of heavy materials like silver, copper, iron, chromium and nickel; and, the presence of minute quantities of radio-active materials such as Bismuth. The medicinal properties of Ganga-Jal are attributed to the medicinal secretions of herbs and mineral content which get mixed with the water. The country's Mughal rulers, from Muhammad-bin-Tughlak to Akbar and Jahangir to Aurangzeb, kept Ganga water in their kitchens at Delhi and Agra for its medicinal properties. No river in the world plays a more important economic, social and cultural role in the lives of more people than the Ganga. Emerging from the central Himalayas, the river flows through the north Indian planes, providing water and drainage for over 560 million people. It is a meeting point for both the rich and poor, who believe it is a divine route to heaven. Ironically, this divine status may be threatening the river's very existence. 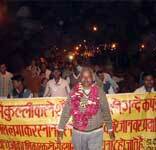 Ganga water never get polluted even when stored. It also has a microorganism known as ‘Bacteriophage’, which has the special property of killing of the bacteria present in water. Bacteriophase require a specific host to complete its reproduction cycle. The Bacteriophase present in Ganga water is unique in the scenes that it can insert its genome in almost all type of Bacteria (Host) and can bring about lysis but it completes is reproductive cycle only in a specific bacterial cell (E. coli). These properties of Bacteriophase of Ganga water is not known in other types of Bacteriophases, thus no harmful bacteria can multiply or exist in the Ganga water. So Ganga water considered as “Amrit”. In Hindu mythology all the things that support life are considered as a form of Shakti and thus termed as a god/goddess to worship. 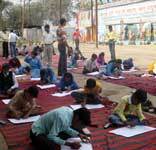 Almost all cultureas developed in river banks and this itself. Besides that, we must know that the Hindu civilisation is a completely logical civilisation. Logically, by worshipping rivers, we learn to respect and preserve them, as we do to other natural features.